While attending workshop by Xesto Wave API which required Leap Motion Controller and user needs to be present in front of it to perform actions. 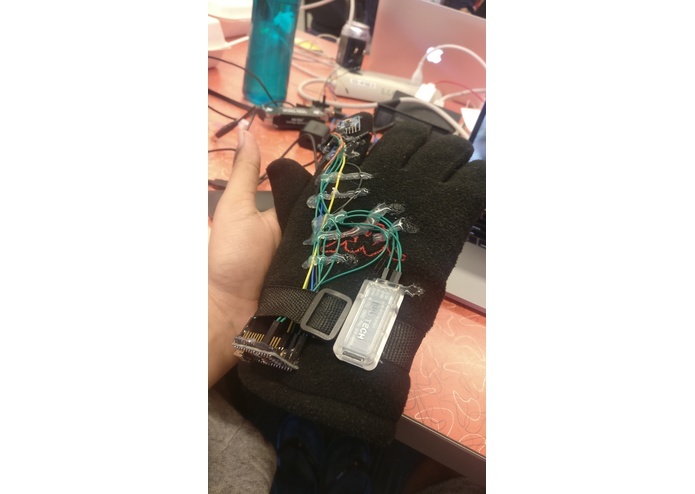 We came up with a cheaper solution that can recognise gestures on the could without even being present in front of the screen and has some added functionality too. 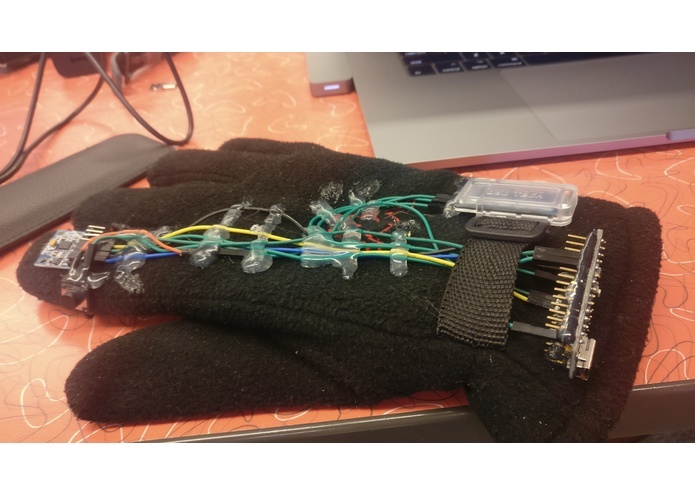 GyGlove is a smart gesture recogniser that is worn as a glove and can user can perform gestures and is a keyboard too... yeah you heard that right this is a keyboard that lets you type in air. GyGlove understands that every person is unique and hence can recognise everyone uniquely. It allows you to perform gestures such as controlling music, presenting keynote slides, IFTTT functionality and much more. You can also control you IoT enabled home appliances with just a flick of your finger. We built is using Arduino, 6 DOF IMU, machine learning on the azure cloud platform. Machine Learning, Off-course this was our first time doing it. Reducing the size to a ring and making it available to the market. 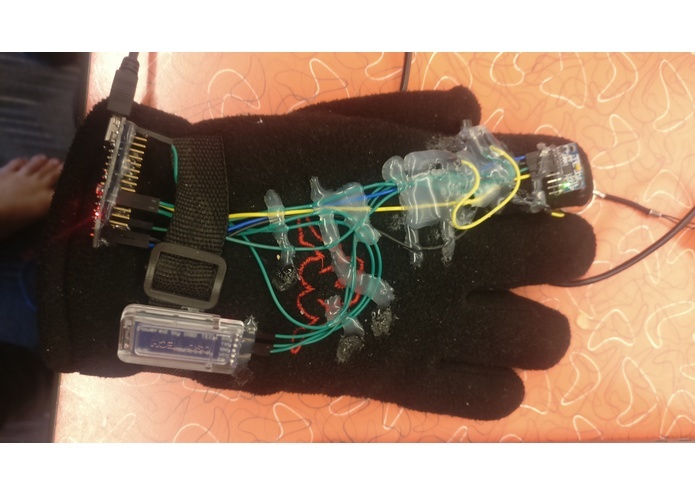 I worked on some of the peripheral applications of the GyGlove like, integration with Fitbit SDK, and IFTTT applications.